Located on the east coast of the USA, New York like many large cities, is broken into navigable areas and Downtown, or Lower Manhattan is defined most commonly as the area delineated on the north by 14th Street, on the west by the Hudson River, on the east by the East River, and on the south by New York Harbour (also known as Upper New York Bay). 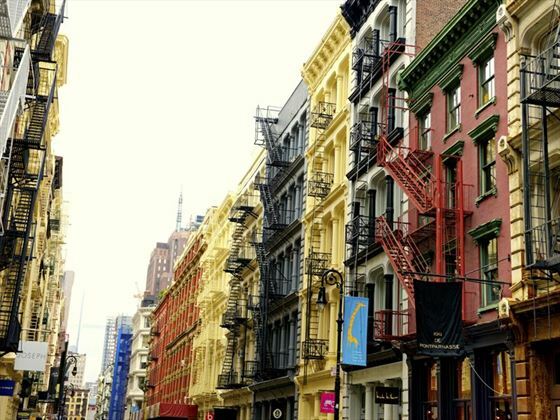 It is the southernmost part of the island and is the main NYC business district, including the financial centres; although communities also live here in the Meatpacking district, Tribeca, Little Italy and Greenwich Village, for example. 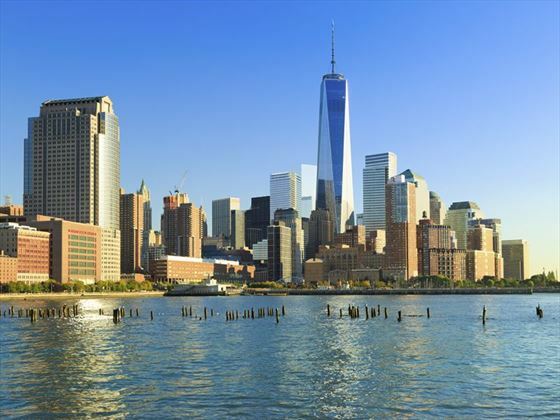 Lower Manhattan is perhaps most famous for Wall Street, but there is much more to do than that! From strolling through Battery Park to finding great buys at the designer outlet Century 21, Downtown NYC has its own thing going on, presided over by the Statue of Liberty. Take a boat tour from the docks downtown to see it or the cheaper option, the Statten island ferry route. 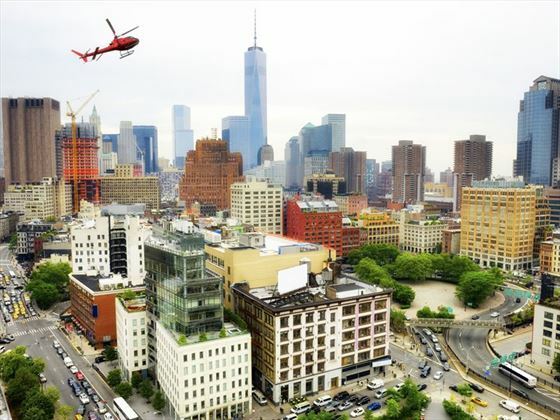 Alternatively take a helicopter ride to view the whole of downtown and beyond. Visit the site of the World Trade Centre or Ground Zero enroute to the New York stock exchange, stopping to honour George Washington at the Federal Hall National Memorial and Fraunces Tavern Museum You can’t actually go into the stock exchange but the building itself is stunning and the financial district sits alongside Stone Street’s historical cobbled district, which heaves with restaurants and bars. 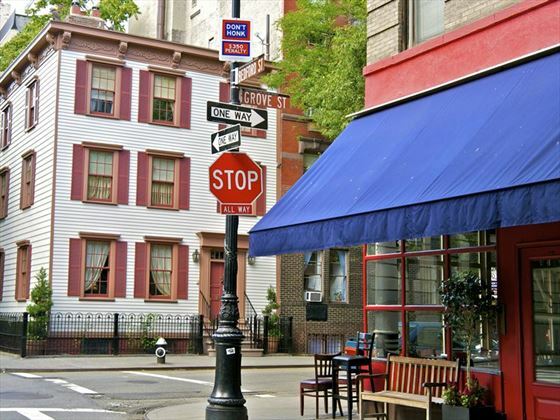 Greenwich Village is a bit more cultural and off-beat and has its own charm. Wait for the winter and go get some unique Christmas gifts shopping around Greenwich Village – it looks magical with snow on the pavements. 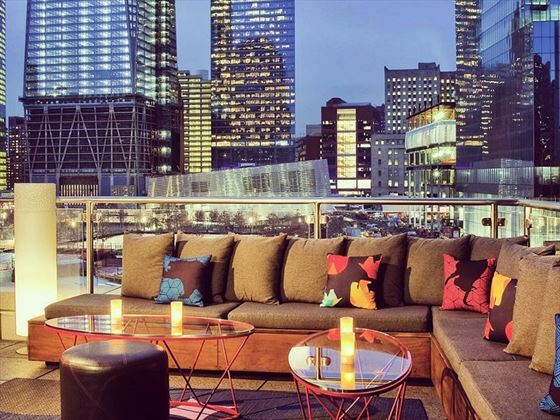 Hang in the trendy Meatpacking District where the bars with no names and burly looking bouncers guard the entrance. Take a late summer evening stroll through Battery Park for some wonderful views across the water. 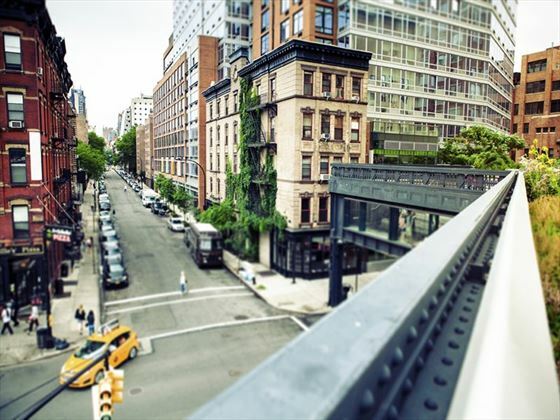 Head to East Village for coffee shops and quirky cocktails. 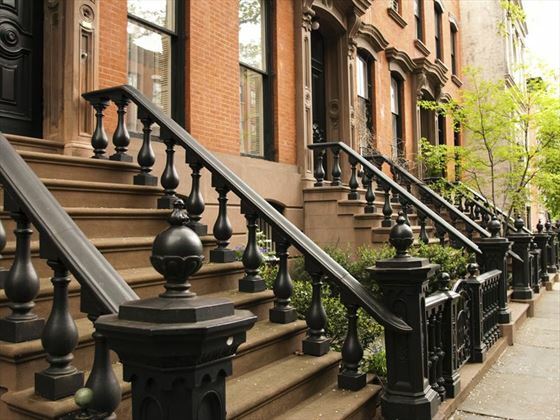 New York is buzzing for most of the year but during July and August lots of residents flee the heat and take off to Martha’s Vineyard and the beaches so weekends in the city are less busy. There are lots of outdoor events in the summer. Spring and Autumn are great times to visit the parks and it’s not so stifling – winter is for skating and shopping! Planning a holiday to New York in 2015? Planning a trip to New York in 2015? American Sky has all the experience necessary to help you plan your ideal break. Call our specialists today and make the most of your next holiday.